MyAcademier is an integrated cloud solution that connects school administration, the classroom, and the home! 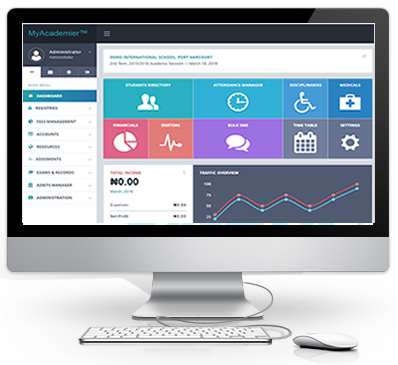 Software Overview MyAcademier is designed to facilitate paperless administration of schools. The software has modules that helps to maintain academic history of students, staffs, parents, exams and records, financials and many more!